We are pleased to announce Power Manager 4.2.1. This update restores support for Mac OS X 10.7, aka Lion. 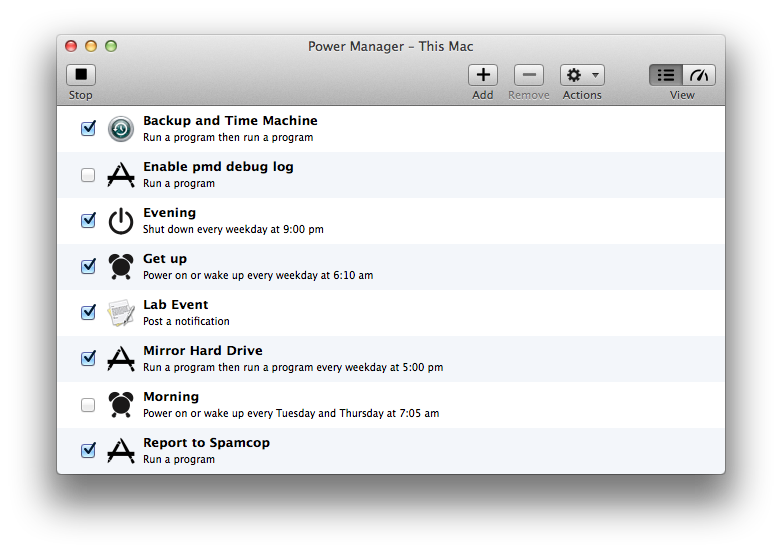 If you want to update to the latest Power Manager now, select Check for Updates… from the application menu. Change: Restored support for Mac OS X 10.7. Bug: Fixed bug blocking event deletion (Mac OS X 10.8).